Divine Soul Song's Gifts - 6 additional Downloads for Divine Soul Songs book. - These are blessings from the book, Divine Soul Songs, by Master Sha. You can purchase the book at booksellers or from the DrShaStore. In the Divine Soul Song's book, there are nearly twenty Divine Downloads offered to readers. The twelfth through the seventeenth Divine Soul Downloads are offered to readers who own this book through the Sunday Divine Blessings teleconference. If you own this book, register to receive these special, additional Divine Soul Downloads of the Divine Soul Song of Five Elements as a gift. 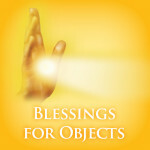 Use these permanent divine healing and blessing treasures to serve yourself, your loved ones, and others.